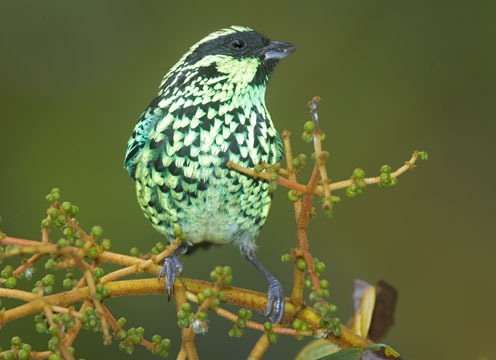 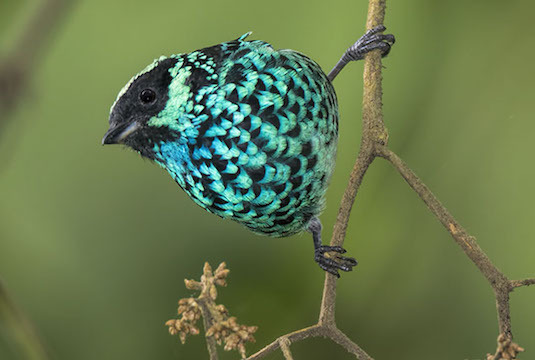 Beryl-spangled tanagers are found in medium altitude cloud forests on the east slope of the Andes. 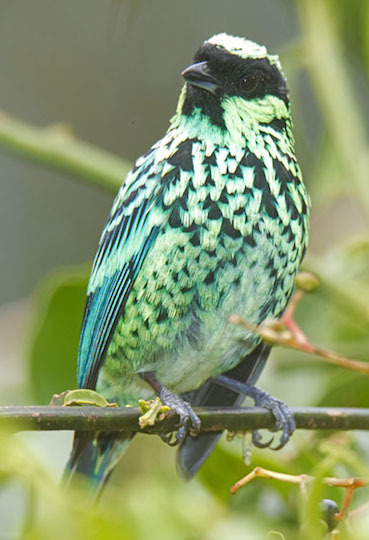 The bird above was at Rio Blanco, near Manizales, Colombia. 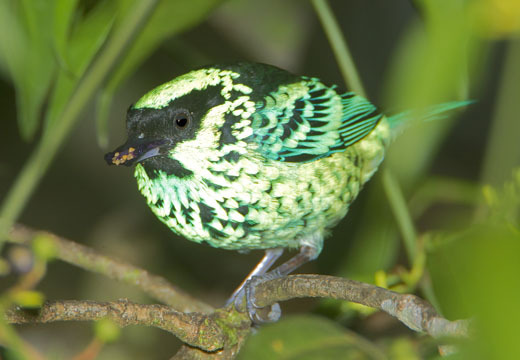 The birds below were coming to a small fruiting tree in San Pedro, at about 1500 m altitude on the Manu Road in southeastern Peru. 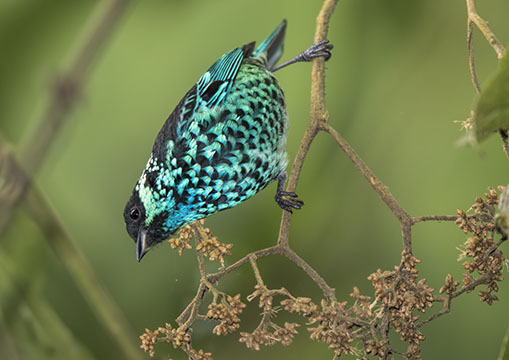 Many species were feeding on these fruits including a number of other tanagers (palm, silver-beaked, orange-eared, golden, golden-naped, paradise, spotted, bay-headed, golden-eared, blue-necked, saffron-crowned, and common bush-tanager), and versicolored barbets, blue-naped chlorophonias and orange-bellied euphonias.